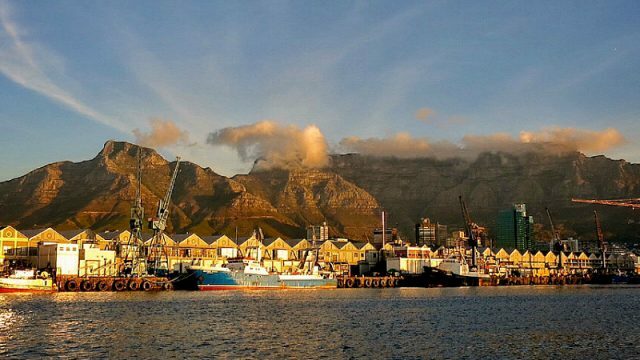 South Africa’s tourism capital, Cape Town, offers a wealth of attractions to suit just about every kind of traveler, from fun hikes and beautiful beaches to gourmet restaurants and trendy cocktail bars. But with these attractions come crowds; Cape Town’s most coveted spots are in high demand, especially in the peak summer months. To escape the masses, head to these special spots that aren’t covered in the guidebooks. Tiny Bakoven Beach is a great alternative to busy Camps Bay and Clifton. Tucked away behind a quiet residential street at the southern end of Camps Bay, this beautiful beach is surrounded by boulders, has amazing sunset views and is never crowded. Climb onto one of the big boulders for the best sunset views. At Cape Town’s most southerly tip you’ll find Cape Point, which is part of Table Mountain National Park. Tourist buses crowd the parking lot here for people to head up to the viewing point below the old lighthouse, but the beautiful beaches nearby are blissfully quiet. Diaz beach is spectacular – white sand, turquoise sea and huge towering cliffs around it. Because it takes 20 minutes to walk down to it, not many people venture down so you may have it all to yourself. It’s a stunning drive out to Scarborough at the far end of the peninsula. This beach never gets crowded and it’s lovely – white sand and windswept dunes flanked by an icy cold ocean. Pick up picnic supplies – fresh bread, cheese, olives and pastries – at the Village Hub on the main road in the village before you get to the beach parking. While the popular Table Mountain and Lion’s Head hikes can be pretty congested over the summer season, Tranquility Cracks is something of a hiking secret. Take the Pipe Track hike above Camps Bay and then head up the mountain up Woody Ravine. When you’re on the top, head south on the path, go past Slangolie Ravine and follow the path to your right towards the cracks – deep cave-like crevasses with passages to explore and amazing views below. If you’re fit and experienced at hiking, head to Constantia Nek to tackle Myburgh’s Waterfall Ravine – a steep hike through a forested ravine to the top of the mountain with incredible views over the ocean. It’s unlikely you’ll see another hiker on your way. Discover underground secret Cape Town by descending down to the tunnels below the city with Good Hope Adventures’ Tunnel Tours. The tunnels date back to 1652 and were forgotten in the 19th century. The guided tour takes you back in time through Cape Town’s underground history, starting at the Castle of Good Hope and ending on the slopes of Table Mountain. The Neighbourgoods Market at the Biscuit Mill in Woodstock is on every tourist’s Cape Town to-do list, which means the crowds are huge. Beat the bustle and go to the Cape Point Vineyards Market instead. With a scenic location on the lawns of the wine estate near the dam with views to the ocean, the market takes place every Thursday from 4.30pm to 8.30pm. Expect to find a range of delicious things to eat and drink, including vegan cakes, schwarmas, north Indian curries, sushi, Portuguese and Greek food, jalapeno cheese spring rolls, smoothies, ice cream, roasted nuts as well as arts and crafts to buy. Skip the ever-busy V&A Waterfront and head to the Labia Theatre near Kloof Street – South Africa’s oldest independent art cinema – to catch the latest art house films, foreign-language movies and documentaries along with Cape Town locals. The theatres are rather on the grungy side – don’t go expecting top-notch sound and screens – but the dinginess adds to the non-commercial charm. Never have sunrises been as fun as they are on a Secret Sunrise event. Twice a month, there are Secret Sunrise morning sessions in Cape Town, taking place at secret locations – the venues are only revealed 24 hours before. You arrive before dawn, get a pair of headphones and then dance your way into the morning to a silent disco with a hundred or so other people. Following the global trend for intimate supper clubs, La Petite Mort is a series of dinners hosted by couple André and Morné at their stylish art-filled home in the Bo Kaap. The dinners – three-course meals with wine pairings – are held on the last Saturday of every month, each with a unique menu based on a theme – think mussel and wild sage soup and bread and butter pudding with white chocolate and caramelized naartjie. A strong contender for Cape Town’s best pizza restaurant, Ferdinando’s Pizza gets everything right in terms of food, ambience, quirkiness, charm and service. It’s a cosy eccentrically-decorated space in Observatory run by couple Kiki and Diego (and named after Ferdinando, their friendly mutt) who bring such intimate warmth to the restaurant that you feel like you’re dining in their home (which is how the restaurant actually started – as a supper club in their dining room in Green Point). The pizzas are fabulous – real Italian dough and great toppings like the Arlecchino, with a cream and mozzarella base, peppers, artichokes, cherry tomatoes, avocado, feta, olives and roasted potato and the dessert pizza is a must if you have space. Near Scarborough Cape Farmhouse on the Peninsula on the way to Cape Point, the country-style Cape Farmhouse Restaurant is a great spot for a lazy weekend breakfast or lunch. The delicious hearty breakfasts, salads, seafood, homemade pies and falafel are made with as many of the restaurant’s organic seasonal veggies as possible. Two Fridays a month there are tapas evenings where you can tuck into the likes of Thai-style mussels, baked field mushrooms topped with walnut hollandaise and Spanish almond cake with berries, and on Saturday afternoons there are outdoor music concerts. This article was originally published on February 29, 2016. Sarah Duff is a freelance travel writer and photographer based in Cape Town, South Africa. She's travelled all over the world, but she's happiest on assignment in Africa: whether it's tracking mountain gorillas in Rwanda, road tripping around Malawi, trekking in the Namib Desert or beach-hopping in Mozambique.